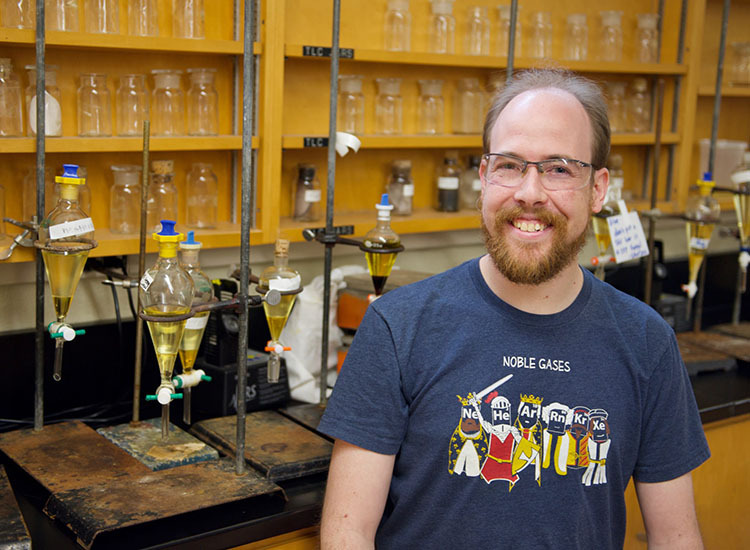 Jacob Horger has been a lecturer and the organic lab coordinator in the Chemistry Department at UNC Charlotte since fall 2010. He received his doctorate in chemistry from the University of South Carolina in 2010. While a doctoral student, he was a three-time winner of the Joseph Bouknight Teaching Award. At UNC Charlotte, Horger teaches a number of organic chemistry courses and labs. In these, he uses a variety of different pedagogical strategies to reach his students. These include active learning activities, in-class problem solving, specification grading, and collaborative laboratory projects. The awards committee was impressed by Horger’s willingness to continually revamp his courses for his students’ benefit, by his deployment of non-traditional approaches in the classroom, and by his genuine concern that students master skills necessary to continue their studies.